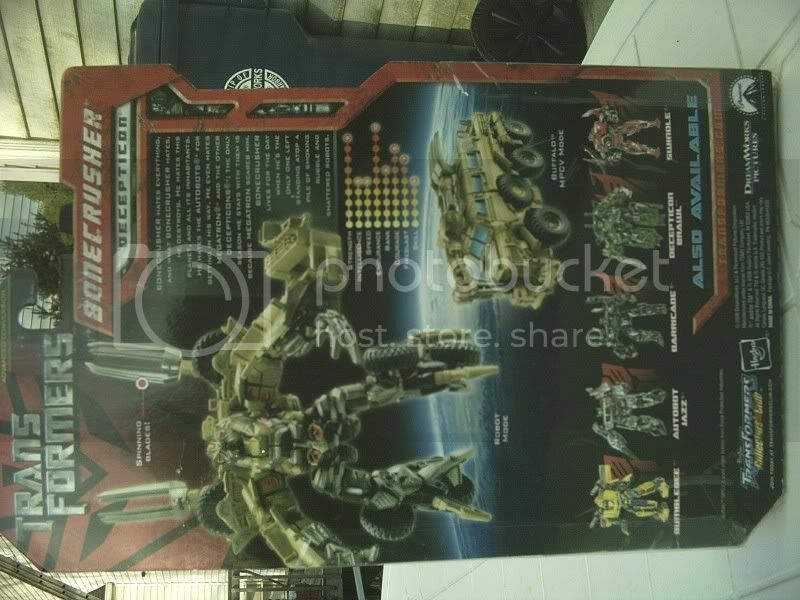 Discussion in 'Transformers News and Rumors' started by Apeface, Apr 10, 2007. 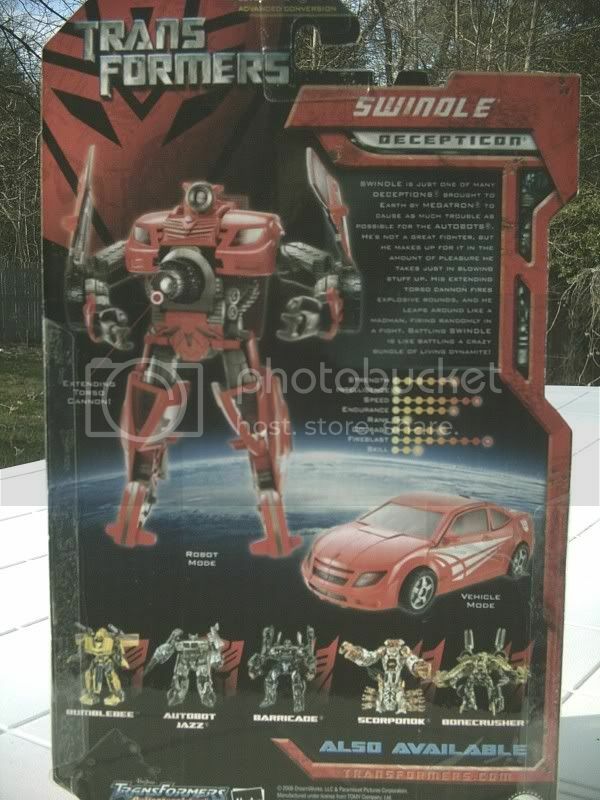 An interesting thing I noticed on Swindle's packaging says that he is not in all versions of the game, probably referring to the handheld games versus the console/pc versions. Swindle... ehhhhh nice alt mode, but bot mode is kind of lacking. 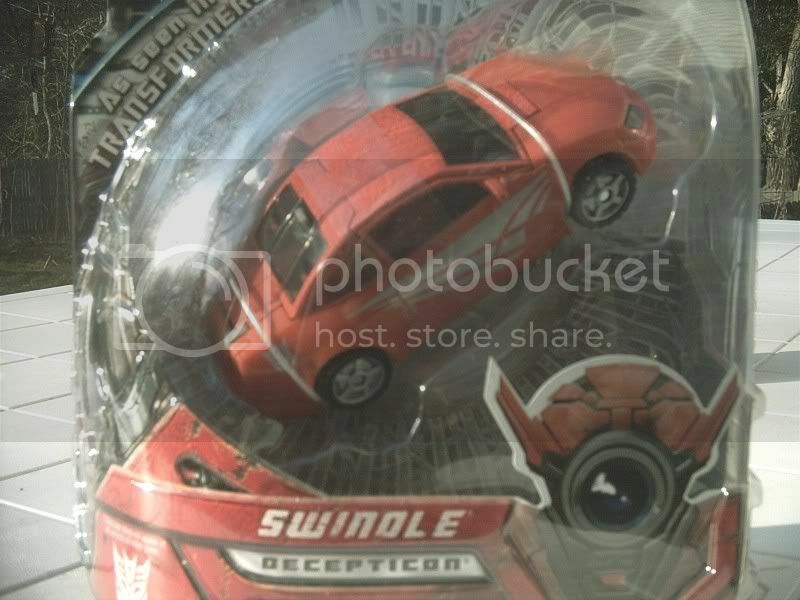 I can see a Runabout/Runamuck out of Swindle if they were to change up that goofy head of his. 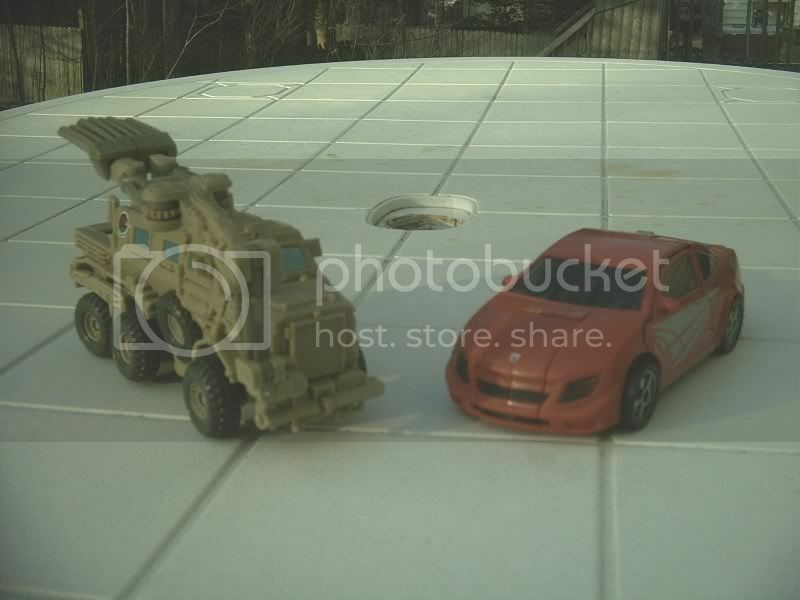 Bonecrusher will definetly be mine. I have one question, can he skate? It looks like he can, but I've been fooled before by pictures. 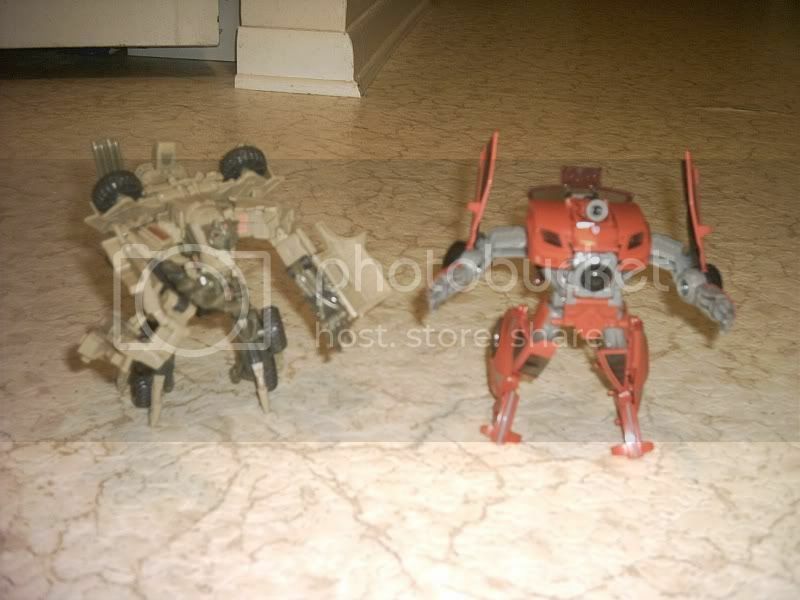 Bonecrusher rocks, but what happened to Swindle's feet?!? Thanks for sharing Apeface! Awesome! 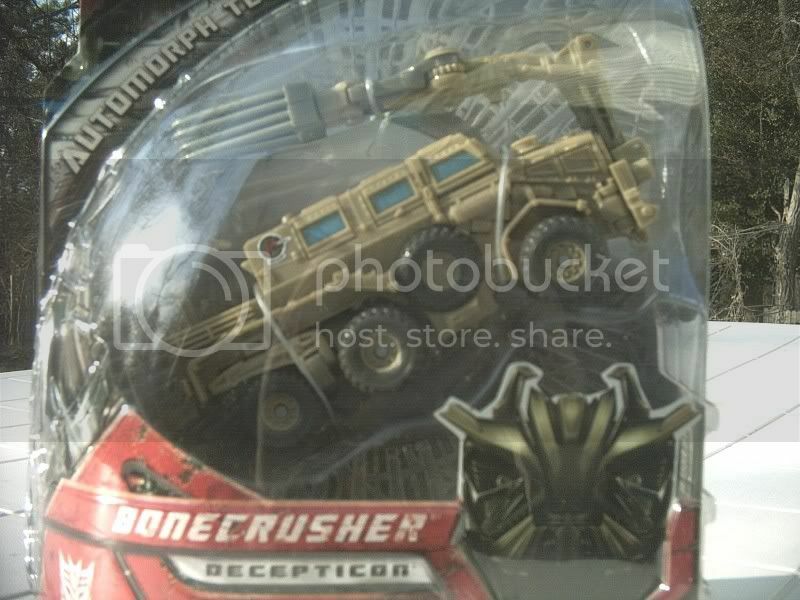 Bonecrusher looks pretty good. y2jversion1 Rent this space today! I still wish Bonecrusher was a voyager! So does he have his 'tail' in robot mode? And Swindle is meh - can he be put in any poses? Bonecrusher can sort of skate. His feet are weird, and he is tough to stand because he is top heavy. I wish he were a larger figure, the deluxe size does not do him any justice. I love Swindle on the other hand. The car mode is fantastic. His pop out cannon works in both modes, and his windows are not painted on. Bonecrusher can sort of skate. His feet are weird, and he is tough to stand because he is top heavy. I wish he were a larger figure, the deluxe size does not do him and justice. Ok, that makes sense. I too wish he was a Voyager, or even an Ultra for that matter. The would of been able to distribute the different parts out a little better when in bot mode. Eh, I'll still be getting him, lol. But does he have that awesome tail he has in Ghosts of Yesterday/the concept art? Ok, that makes sense. I too wish he was a Voyager, or even an Ultra for that matter. NO! Your opinion is wrong! I'm not sure what the tail looks like, but the blades on his back are on a long piece that can extend out to resemble a tail. That would be pretty sweet, but, he would have to have rubber tires to make him perfect, and worth the $50 for him in my opinion.